SolarEdge is a provider of power optimizer, solar inverter and monitoring solutions for photovoltaic arrays. These products aim to increase energy output through module-level MPPT. Established in 2006, the company has offices in the United States,Germany,Italy, Japan, and Israel. SolarEdge is traded at the NASDAQ (NASDAQ:SEDG). There is a strategic partnership with Tesla Motors. Renergy Limited has partnered with Solar Edge to provide their products to our customers in Malta. Solar Edge power optimizers are mainly used in cases where there is a partial shading however all our customers are treated on a case by case basis and as such we recommend the best solution on a customer by customer basis. Solar Edge provide Inverter, Power Optimizers and a Monitoring Portal to enable the client to monitor the system from anywhere. Optimal DC to AC conversion regardless of string lengths. 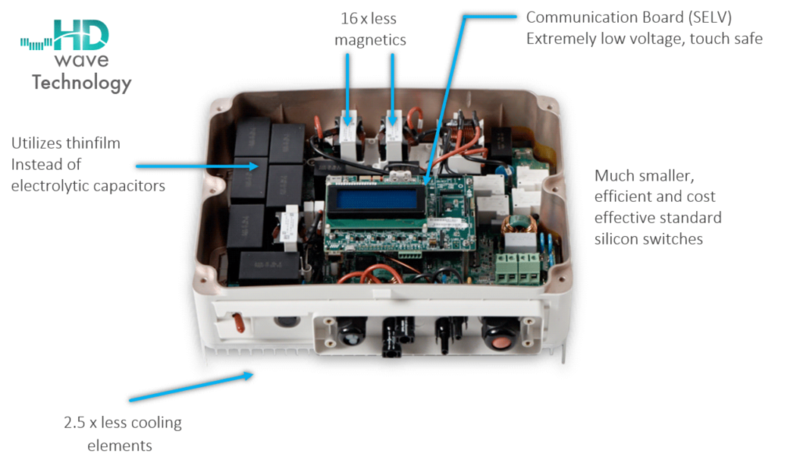 The SolarEdge System pushes the envelope in the continuing endeavor to improve gridtie solar power generation. In a SolarEdge System, a DC to DC PowerBox optimizer is paired with each solar panel in an array, allowing each one to operate independently at its highest efficiency. 25% increase in energy production in systems with shading issues! Energy loss caused by module mismatch and partial shading is eliminated. Multiple arrays and module orientations are easily supported. Individual module monitoring, performance reporting and alerts. SolarEdge’s proprietary SafeDC mechanism provides greater safety by shutting down module voltage during installation, maintenance, and firefighting. There is no more need for string sizing. Solar Edge inverters come with a warranty of 12 years whilst the power optimizers have 25 years warranty. For more information and specifications on the HD wave Solar Edge Inverter click here. For more information and specifications on the Solar Edge Power Optimizers click here.